We can not eliminate stress from our lives, but we can manage it with stress relief techniques. Some stress can be helpful. Positive amounts of stress causes the adrenaline rush you feel when you rise to the challenge before you. If stress in your life is overwhelming it often causes tension, worry, fear and anxiety. The negative effects of stress can be relentless. 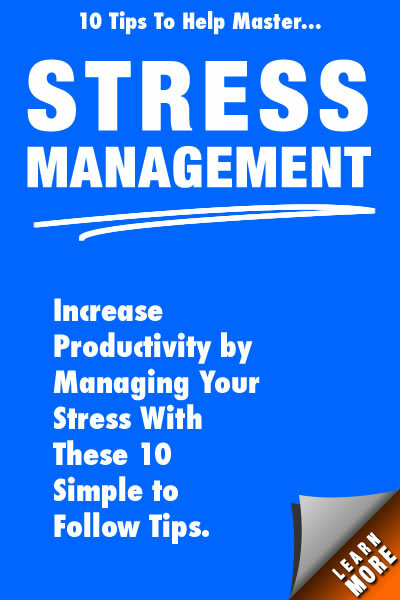 Your quality of life, your health and your happiness depend on how well you manage stress. There are many ways to cope with stress. Find what works for you. Proper nutrition is essential for your body's physical stress management. Eating well helps relieve the buildup of stress and restores nutrients that are stripped from your body through excess stress. Also including more physical activity in your life begins to break down the excessive levels of stress. Include a sport with friends, like tennis, golf or swimming. Or begin a daily walking program. Even 10-15 minutes a day of exercise can help keep you healthy and along with proper diet, can be a positive benefit. Get the tough stuff out of the way. Deal with the stuff that worries you first so you can forget about it. 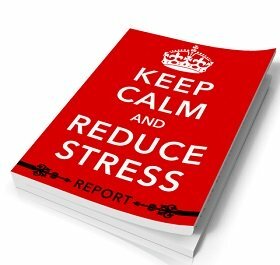 Stress relief comes from getting the hard stuff that is providing tension, out of the way! You may find yourself with more confidence after you complete a tough job and feel more able to tackle other jobs. Laughter is a great stress reliever. Sometimes humor is the best medicine. Watch a funny movie or TV show as you enjoy your favorite snack and beverage. Learning ways to reduce stress through laughter is a great remedy for dealing with life's daily pressures. If you find something funny, enjoy a good belly laugh, and if you can share it with others, so much the better. A weekly comedy night with friends is a great way to handle the stress that builds up during the week. Here is nothing better than a nice relaxing bubble bath. Add music and candles, a cup of tea, and close the door to get away from everything. Pampering yourself can go a long way to rejuvenating your spirits. You may find these relaxation techniques provide the stress relief you are looking for! Have A Great Technique for Relieving Stress? What techniques do you use to relieve stress? Do you have a great example. Why not share it! Your story will appear on a Web page exactly the way you enter it here. I have listed some examples of stress-relief techniques, but there are many different ways women find to relieve stress. We want to share these with others! !